Stoner rock is a genre based not around smoking weed but loud and heavy riffs that groove in a euphoric manner, entrancing the audience for 45 minute intervals. The beauty of the genre is that all band members are given equal chance to shine as it intertwines experimentation and improvisation into otherwise standard radio pop song structures ensuring the listener is regularly caught off guard. SHELLFIN embodies this ethos in their brand of Regressive/stoner rock as they continually devolve in an ever growing industry. in 2008, Josh Bliesner (Guitars - Western Decay) and Geeks (Drums - Defamer) had nothing better to do than play the very music that was missing from their local live scene. They were hounded by unruly fans to put out an EP and at the risk of becoming a real band, they released "Stay For Tea" in 2009 which sold out in 6 months. 2010 saw the band head back to the studio and record their first full-length titled "Secondhand Family" and despite glowing reviews, SHELLFIN again managed to elude the dreaded 'real band' moniker. Still fine-tuning the format, SHELLFIN head back to the studio for their second album with Doug Bjur (vocals), Alex Taubert (bass) and Daniel Pye (rhythm guitar) and despite line-up changes, the new material has been extremely well received in the live setting, the band's forte. 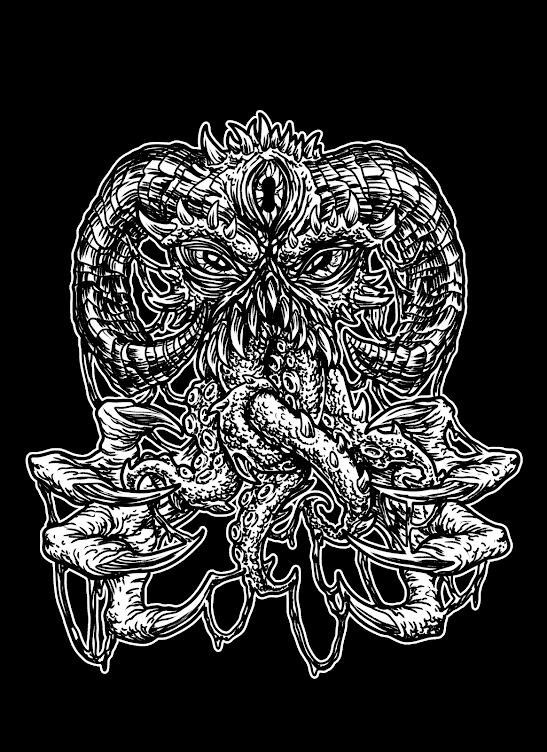 SHELLFIN's lack of motivation has seen them perform any show which involves little or no organisation by piggy backing the hard work of bigger bands such as Shihad (NZ), Winnebago Deal (UK), Mondo Generator (USA), High On Fire (USA) and Unida (USA). It's been almost 4.5 years since Shellfin released their debut album – Secondhand Family – upon to the world. Now these hard-rocking Aussie's return with their 2nd album – Cities Without Names – that sees the band build upon their Punk Driven Stoner Rock sound with shades of Classic 70s Hard Rock and Progressive Rock making their new album a more dangerous experience. Opening tracks – Poisoned Heart and Get On – sees Shellfin opening their world to a vast amount of sound that evokes memories of Truckfighters, QOTSA, Kyuss and Monster Magnet. Shellfin's sound has a rich psychedelic sound that harks back to the legendary Desert Rock scene. Doug's vocals are powerful from the start as his moods more than match the heavy riffs on offer. Shellfin have evolved into a better band since their last album. The songs have a clearer sense of direction as the band build upon hard-rocking melodies and great lyrics to match. 4th track – The Earth Is An Egg – being the case in question. Sure the lyrics may seem simple enough but match them against the killer riffs that Shellfin have created and you have one of the albums standout tracks that will have you singing along to in no time at all. The album has a playful punk based attitude that you don't get with too many Stoner Rock albums. Shellfin won't change the course of world history but you can't deny how awesome this album really is. For good old fashioned Stoner Rock riffs then except no substitute, Shellfin are in a league of their own. 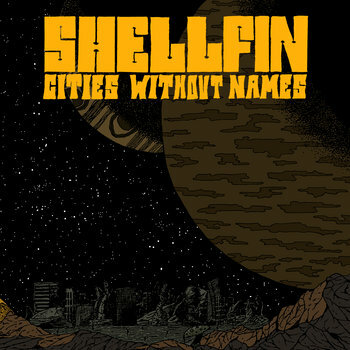 When Shellfin start playing more murkier Sludge Rock grooves of – Down To Zero – then this album turns into a more dangerous beast starting to wreak more havoc upon to the world. When Shellfin start playing – She Is A Robot – the deal is finally sealed with this album being a work of genius. Doug's vocals venture more into Punk/Blues Rock with the music firmly rooted into Stoner/Fuzz Rock territory. With elements of Prog Rock appearing here and there to make up the songs 7 minute plus running time. Just sit back and enjoy the ride as Shellfin start adding ambient noises and soundclips for another trippy as hell experience. Other great tracks to check out are: Smoking Gun, Tomorrow Never Arrives and Delusional. All proving why Shellfin have a rising reputation within the Stoner Rock community. Shellfin have the potential to visit not only Cities Without Names in Australia but hopefully on a more global scale. They have created a true balls-to-the-wall Stoner Rock album packed full of great riffs and hard-rocking anthems.